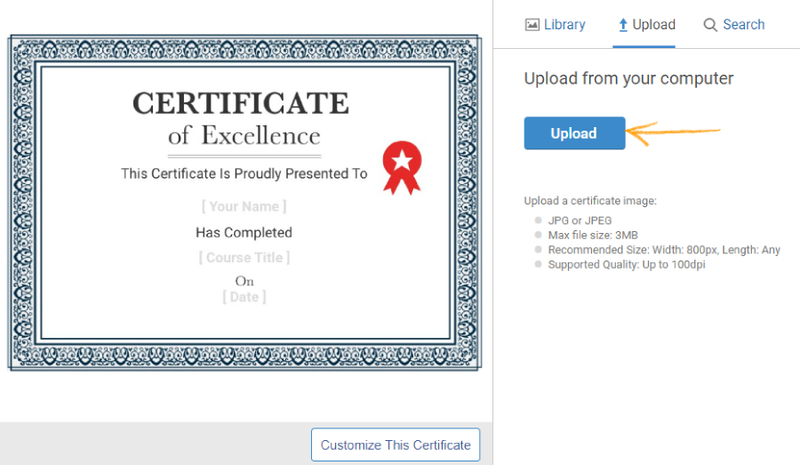 With ProProfs Training Maker you can create a course certificate from scratch by uploading your design, or you can choose one from our library of professionally designed certificates. 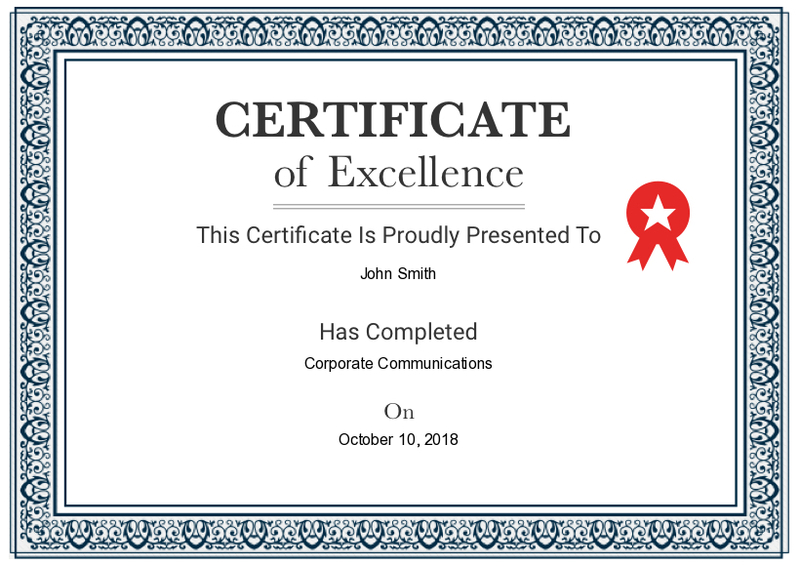 You can add your company logo, brand name, participant's name, and your signature to create professionally-designed personalized certificates to offer to those who complete the course objectives and help them improve their work proficiency. Step 1: Go to "Settings" for the course. 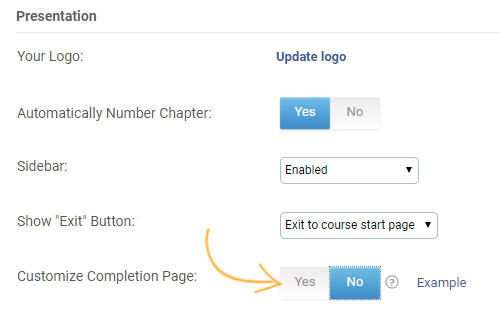 Step 2: Navigate to “General Settings”-----> "Presentation" and select "Yes" for "Customize Completion Page." 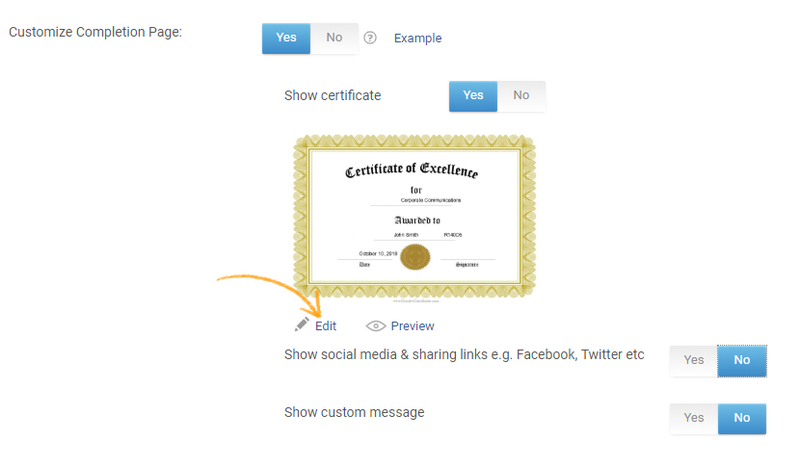 Step 3: Select "Yes" for "Show Certificate," and click "Edit" to customize the certificate. Step 4(i): A pop-up window appears, select a template from the library. Step 4(ii): If you prefer to use your own template click "Upload" and select a template from your device storage. You can upload a custom template with your company logo and branding. You can also use the "Search" option to select a template through Google images. 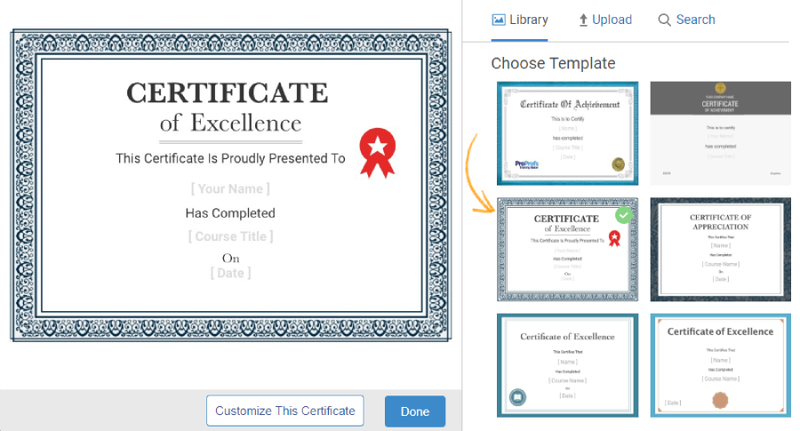 Step 5: Once a template is selected, click "Customize This Certificate." 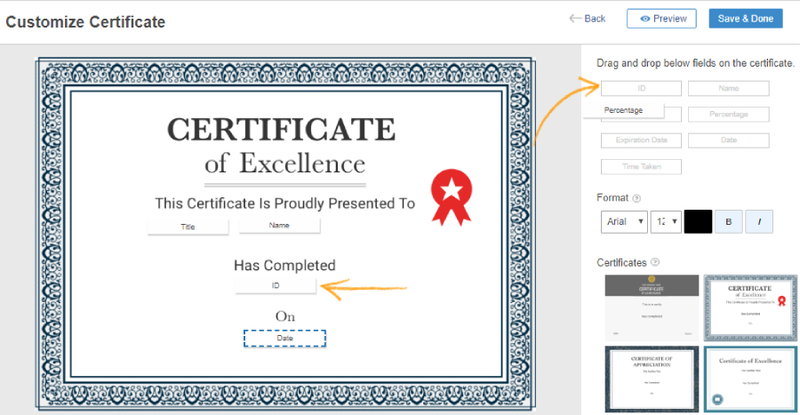 Step 6: The 'customize certificate' window opens up, drag and drop the placeholders to the appropriate place on the certificate. Placeholder attribute represents an input field such as name or ID. Placeholders are used to specify the location of input fields on the certificate. Adjust the Format (Font size, Font type, Font color, etc.) as per wish, and click "Save & Done" to secure the changes. Step 7: Click “Done” to complete the process. How do I assign a course to only select learners?